The Las Vegas Golden Knights formally announced today that they have hired Darren Eliot as vice president of hockey programming and facility operations. Eliot has been working for Fox Sports Detroit as a Red Wings TV analyst since 2011, and he has been overseeing Little Caesars youth hockey operations for the Detroit Red Wings since 2014. In his new role, he will be directing facility operations for City National Arena in Nevada, as well as overseeing the Vegas. Jr. Golden Knights program as the club’s executive director. Aside from his Little Caesars duties, Eliot was active in the Michigan Amateur Hockey Association, serving on the Tier 1 Committee and the Girls/Women’s Committee while working as the state’s goaltending coordinator, as well. 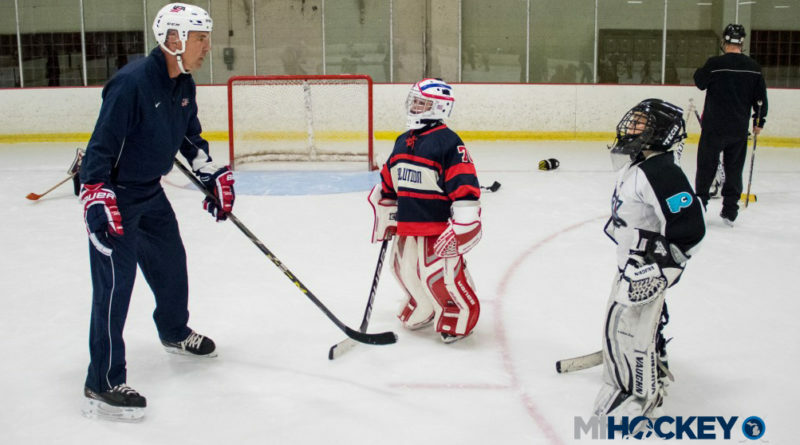 His son, Mitch, grew up in the Honeybaked organization before two seasons with Michigan State. He recently signed an NHL contract with the Vancouver Canucks while playing for the OHL’s Sarnia Sting. Eliot is Red Wings alum, as well, having played for Detroit in 1987-88 during a playing career that saw 88 NHL games over five seasons. He also played for Team Canada at the 1984 Winter Olympics. Prior to his time in Michigan, the Hamilton, Ont., native helped build youth hockey programs for the-then Mighty Ducks of Anaheim and the Atlanta Thrashers.